'Wuthering' being a significant provincial adjective, descriptive of the atmospheric tumult to which its station is exposed in stormy weather. Pure, bracing ventilation they must have up there at all times, indeed: one may guess the power of the north wind blowing over the edge, by the excessive slant of a few stunted firs at the end of the house; and by a range of gaunt thorns all stretching their limbs one way, as if craving alms of the sun. 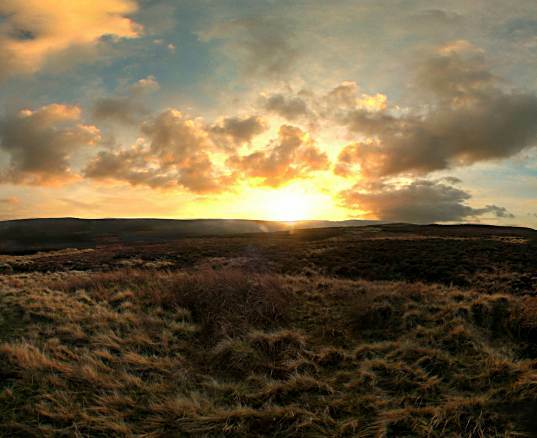 It is generally accepted (although no factual evidence exists) that Top Withens is Heathcliff's moortop home in Wuthering Heights. 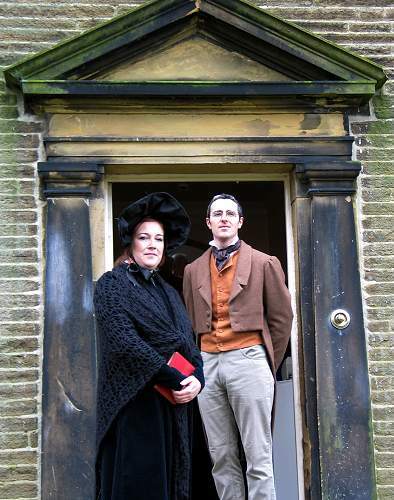 Bronte Country is rooted in Haworth, other places of interest are Wycoller (Ferndean - Jane Eyre), Thornton Parsonage known as the Bronte Birthplace and Scarborough where Anne Bronte died. She was the only Bronte not to be buried at Haworth Parish Church, in the family vault next to The Bronte Memorial Chapel. For my part I am free to walk on the moors - but when I go out there alone - everything reminds me of the times when others were with me and then the moors seem a wilderness, featureless, solitary, saddening - My sister Emily had a particular love for them , and there is not a knoll of heather, not a branch of fern, not a young bilberry leaf not a fluttering lark or linnet but reminds me of her.